We are a family enterprise from Borstel near Sulingen. 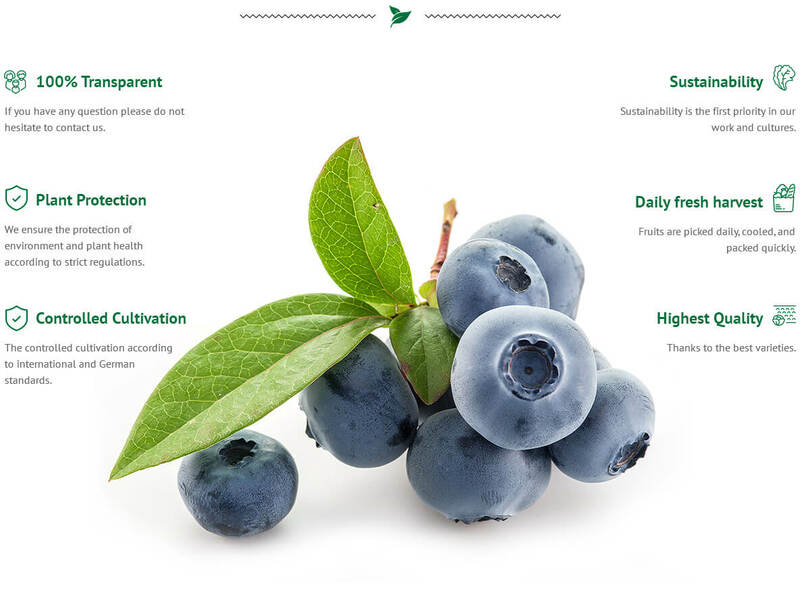 We are producing blue berries on 40 hectares according to international quality standards. Our products can be ordered via online / telephone or purchased directly from our company´s automatic machine. We also offer self picking of fruits where customers are encouraged to pick their own fruit. 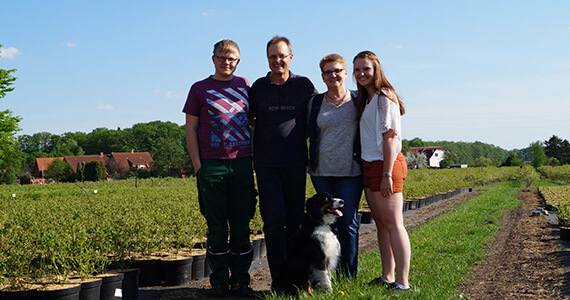 We are specialists in blue berry fruit and nursery plant production and are in the business for more than 40 years (since 1972). We are producing nursery plants of the following blueberry varieties, Duke, Blue Crop, Elizabeth, Draper and Legacy from icensed nurseries. Husmann´s Obstgärten GbR is located at Borstel near Sulingen in Germany. We are in blue berry business since 1972. We are experts in blue berry fruit and nursery plants production. Our products are known for excellent quality world wide. © Husmann´s Obstgärten GbR 2019 · All rights reserved.